With countless hits and sold-out concerts to his credit it was a safe bet that Jim Brickman's latest would be great - and, it is.Described by the gifted. Brickman himself as "a selection of songs that soothe the spirit and nurture the soul," Grace is a beautiful collage of uplifting songs that represent and speak to different faiths. Baritone Mario Frangoulis (heard during one of Brickman's recent concert tours) offers a lyrical adaptation of "Ave Maria" that is sure to touch hearts, while Brickman himself soars with an interpretation of the Hebrew prayer Ayn Kaylohenu. Michael Bolton's powerful rendition of Brickman's original composition "Hear Me" is incredibly moving.The voice of singer/songwriter Ginny Owens brings new meaning to the beloved "Amazing Grace." 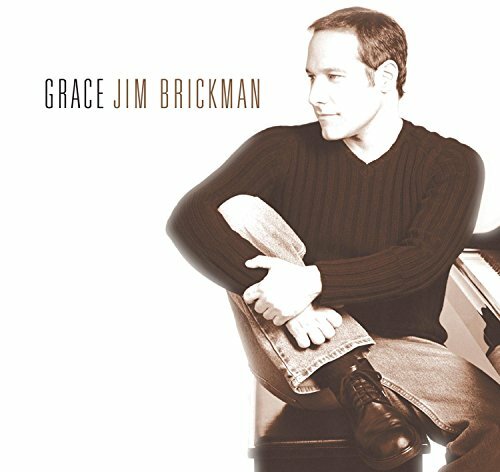 All in all Grace is bound to be another chart-topper for Brickman, and a warm, positive, enriching listen for all. this is absolutely one of the best cd's i've purchased. the music is so healing and inspirational that i could listen to it the whole day. this is music for my ears and absolutely feel good. i highly recommend this to every jim brickman fan. Jim Brickman is one pianist that sets himself apart from all other pianists by somehow creating music that clearly defines that it is he at the keyboards.The only other pianists that I feel do that are Ronnie Aldrich, Andre Previn and believe it or not, Floyd Kramer.This particular CD cannot be considered his best because in my opinion they are all his best and this is certainly no exception.It is very soothing music.I would highly recommend it to anyone who like Jim Brickman or fine music. "Hear Me" is amazing--his best song ever.The whole album is great.Even if you thought you don't like hymns--as many of these songs are--Jim's renditions are so original they take on a whole new vitality.It's no accident these songs have lasted (in some cases) hundreds of years--they have a timeless ability to inspire.As apparently, does Jim. I have always enjoyed Jim Brickman's piano arrangments.I was not swayed in the least that these were spiritual and religious songs. The reason this gets four stars instead of five is because of the copy protection technology.There are WMAs embedded with digital rights management on the data portion of the disc.You can transfer those onto your portable device. I'm telling you, this CD is just SO GOOD! Enya is a wonderful new-age musician in my books. The best thing about this album is the fact that it comprises all of her best tracks from her previous albums, plus new singles like "Only If..." and "Paint the Sky wth Stars" which show that she is no less a great instrumentalist and vocalist as she was before. There are many likeable points about this CD, especially because it really gives you the mood of experiencing a musical journey as you go through different atmospheres with each single. It's truly magical: From sailing on the Orinoco and the blue Caribbean, you enter a Book of Days where Anywhere Is anything you want it to be, and where your consideration of "Only If..." speaks of opportunities you'd never come across in common life. Then you take a trip in history to recap the melodious beauties of the Celts, who rest by the lullaby of beautiful China Roses and as they stare at Shepherd Moons. Next, your journey takes a tribal turn and follows the power of Ebudae, where you get to hear the scary yet charming tunes of the Storms in Africa. Your journey then calms down and rests in peaceful Watermark, where the swipes of music's magical brush Paint the Sky with Stars. And as you take your last steps through the polished walls of Marble Halls, you finally get to be On Your Way Home, where you bear in mind The Memory of Trees. At the end of your listening adventure, you recall the reign of Baodicea, the Celtic King, before your journey through this powerful album comes to a solemn end. Listen to this album, it's really WONDERFUL! Even if it's your first time on new-age music, this CD will definitely make you much more versatile to the various genres of this inspirational form of music. Hope you enjoy this marvellous journey! Bon voyage! Then, a few years later, over a period of several months, a mildly crazed girl friend force-fed Enya (...and 90's country music) down my gullet. Whether I dang wanted to hear it or not. Well...after an extended amount of time of this force-feed diet...I...began to...like Enya. In fact, I became mesmerized especially by "Watermark" and "Storms over Africa"? or...one of her other songs. That was about 10 years ago... and it's year 2004 now. And except for a rare occasion here and there - I have not listened to any Enya music at all. However. After wandering about and subsequently stumbling onto Enya on the site here over the past week or two - I found myself nigh brought to my knees in tears over the wondrous beauty of this fair maiden's music. It is SO BEAUTIFUL...! And relaxing! And hypnotic, and just plain...good for you...! It makes you feel good about yourself...and life...and just...Everything! (sigh...). Anyway, also - the site here confirmed my delighted suspicion that one of Enya's Lovely songs ("Book of Days") is the theme song for the "Out of Ireland" television program, broadcast on Public Television. (That I recently discovered a few months ago). So, as I find myself having been somehow guided back to Enya, on this here Amazon site, I am just thinking...that I may end up owning... a whole collection... of Enya tapes. I've always enjoyed Enya and this album is no exception, but while reading some of the customer recommendations posted on this page I discovered an artist by the name of Mehdi (pronounced meddie). After some investigation I found his site (SoothingMusic.Com) and listened to the samples...I was instantly blown away by the quality of this music and so I gave it a try and now that I have listened to his CDs several times I really must say that although I'm still a Enya fan I find Mehdi to be a tad more interesting. I have them both in my multi-disc CD player and love the way they compliment each other. I highly recommend that you give this artist a try or atleast just go listen to the samples, I have a feeling you'll be glad you did. Enya is NOT a singles artist. Trying to review a "Best Of" from Enya is a very difficult assignment. 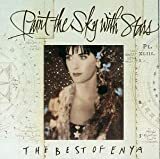 A rarity among popular artists, Enya takes years at a time to perfect and polish her recordings until she decides they are ready, then releases the individual albums as stand alone pieces of work. That an occasional song breaks free and becomes popular is coincidental to the overall scheme of her music. While I must admit that "Orinoco Flow" drove me into a shivering bliss that first time I heard it on the radio, as soon as I got a copy of "Watermark," it was easy to tell that this woman was an artist as perfectionist. From that point on, I have eagerly awaited the next CD to complete its gestation and land in my disc player. So how does one regard the piecemeal way her first four albums are divided into a "Best Of" collection? Fortunately, Enya has a way with melody, so the songs per se are often memorable outside of context. 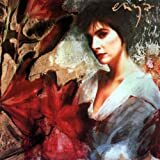 Much like Enigma, Alan Parsons or Pink Floyd, sometimes a little swath of the album is still enough to convey the consistency of mood, and Enya is of the stature of those equally creative minds. When Enigma started to sound in Spain I must say I didn't like at all. I hated Sadeness. Now is one of my favourite songs in the history of music. I started apreciating 1 or 2 years later listening to my dad's CD. I rate 4 out from 5 cos there are some changes I would do in the best songs album. As I've read from you, jerry, the 2 songs you like are instrumental and more or less soft, relaxing. 1st cd, MCMXCa.c. 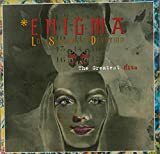 has 2 "strong" songs (Principles of lust, which contains Sadeness and Find love, and Mea culpa), 1 intro as every Enigma cd, 3 more relaxing (Callas went away, Knockin on forbidden doors and Rivers of belief) and the other one is like an intro (The voice and the snake). 2nd one, Cross of changes is, perhaps, stronger (Return to innocence, I love you...I'll kill you-which I love-, Silent warrior, Age of loneliness and Out of the deep). There is one long instrumental (Eyes of truth) and 2 short "melodics" (Dream of the dolphin and the cd closing Cross of changes). 3rd, Le roi et mort, vive le roi (King is dead, Life for the King in french). More calm songs (Morphin thru time, Shadows in silence, Almost full moon and Odyssey of the mind), and 3 stronger (Why, TNT for the brain and Roundabout). The other 3 are relaxin I think (the single Beyond the invisible, Child in us and Prism of life). Finally, The screen behind the mirror: 5 strongs (Push the limits, Gravity of love, Modern crusaders, Camera obscura and Silence must be heard). 5 relaxin (Traces, Screen behind the mirror, Endless quest, Between heart and mind and my favourite Smell of desire). I think four of them are very similar in that way, maybe second is the strongest and could be worse for you. Try with 1st or 3rd, but if you have the oportunity make yourself a mix with the calmest songs I recomend you: Callas went away, Knockin on forbidden doors, Rivers of belief, Beyond the invisible, Shadows in silence, Almost full moon, Traces, Between mind and heart and Smell of desire. Take into account that there are not breaks between songs in the cd's if you want to mix them. It seems me a bit unfair not to include my 2 favourite songs: Principles of lust (12 minutes) and I love you...I'll kill you (9 minutes). They mix strong and calm passages. I'm a huge Enigma fan. I find Enigma's music soothing and comforting to relax too. Although I own all four of their albums, I wanted to buy their greatest hits especially after hearing one of their new songs "Turn Around". I believe that "The Landing" and "Turn Around" are the two new tracks on the cd, or never been released. I particularly dug "Turn Around", such a breath-taking epic. "The Landing" made for a good opening track to lead the listener into this enchanting album. All the well-known tracks on this cd is found such as "Sadeness" and "Return to Innocence". My personal favorite songs were included on this cd such as "Gravity of Love", "Mea Culpa", "Beyond the Invisible", and "Morphing Thru Time". Over 70 minutes long, I was not disappointed in this cd. 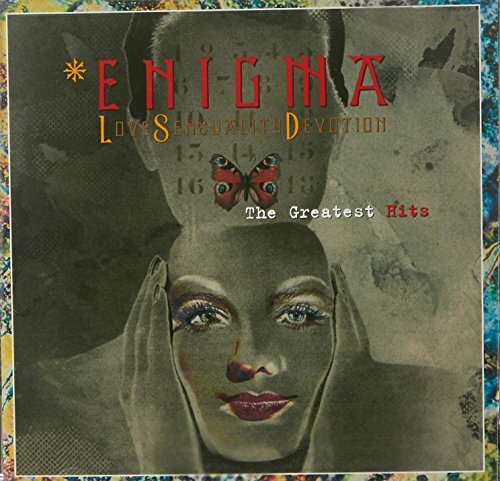 This cd is great for casual listeners interested in hearing only Enigma's more familiar songs. Definitely one of the best greatest hits compilations ever to be released in my honest opinion. a highly adventurous and pioneering success of a collection. Enigma has always deftly combined a mind expanding and enlightening sound with a pop sensibility - not such an easy task. A MUST FOR ALL ENIGMA FANS! i have to admit that at first i didn't think that it would be necessary to purchase this enigma greastest hits compilation. i mean especially when you're a fan who already has all their cds, what would be the point of doing so? well i have to say i was wrong! i purchased this cd and was not the least bit disappointed! for one thing, it has various remixed tracks, such as "tnt for the brain" and i must say the track on this cd far exceeds the original one found on enigma's third album "le roi est mort, vive le roi." in my personal opinion, "tnt for the brain" is reason enough to buy this greatest hits compilation, so amazing this song really is!! i also love how all the songs flow nicely into one another, so you feel as though it is one long ride through time; no pauses in between to distract you from your voyage! :) i'd have to say, the one thing that usually "bothered" me about enigma cds was how they never really exceeded an hour... well this cd definitely surpasses that time period, and does so wonderfully... if you are a true fan of enigma, you won't regret making this purchase! enjoy!! Chant is a new marketing niche in the alternative music scene, and swings from albums of straight recitations to a glut of electronica mantra CDs. A group like Rasa turns chants into cinematic excursions. Singer Donna DeLory recasts chants as pop hooks and Krishna Das growls them into guttural ruminations. But the German singer Deva Premal was doing the mantra thing long before it became a commercialized trend. Every time I listen to this CD I am awe-struck with its beauty and general clarity of texture. On this CD, as opposed to his previous album covering Radiohead, true love waits, he becomes much more adventureous in taking on Radiohead's masterful use of depth and increasing complexity.It seems with the previous album, he just tried to nail down the obvious songs to appeal to the Radiohead faithful and those are great to listen to.But with this one, it's obvious to see he's challenging himself, whether it's the ridiculous 7-beat rhythms of "2+2=5" or the meoldic overtones in a 4 part-piece of "Paranoid Android." This CD is a strike of brillance at times. "Like Spinning Plates", a song that is appreciated by most Radiohead constituents but actually enjoyed by few, is unmistakeably brilliant in creation.The very beauty of the song comes to life when Christopher O'Riley plays it.We all know the story of the "backwards song" but the cognitive ability that went into the rest of the song itself is not seen until Christopher O'Riley displays it on full view.I've always said "the true musical genius does not just achieve incredible feats... the true musical genius does it when you're not paying attention" and thanks to O'Riley, that's obvious in Radiohead's music. 1)There's a few too many B-side recordings for my taste. "How I Made My Millions" and "Cuttooth" fit here. 2) There's one or two songs that just are lackluster, overall. "Sail to the Moon" doesn't seem too challenging and neither does "How I Made My Millions." Those are the only two downsides I see and why I wish I could give this album a 4 1/2 instead of a 5. But giving it a 4 wouldn't do it justice. Basically, if you're a Radiohead fan because you appreacite the high complexity of musical theory involved in their music and/or you love the piano, you NEED to buy this CD. You have to give Christopher O'Riley credit. Even though he's already put out an excellent CD of Radiohead piano compositions, there's enough great material in the band's studio albums that he could have easily filled this second disc with crowd-pleasers. And while he did include "Street Spirit" and "No Surprises," he also threw in some surprises, great B-sides like "Polyethylene Part II" and "Gagging Order." That's not the mark of a hustler looking to cash in on one of the best bands making music today--no, it's the mark of a true fan. What's more, O'Riley really understands the band on a primal level, not just as a fan, but as a fellow musician. Radiohead writes unsettling songs, discordant songs about paranoia and dissatisfaction and technophobia, songs about a world that feels wrong on every level. It's no mean feat to play these songs with just a piano instead of a five-man band, but O'Riley pulls it off admirably, playing with passion and verve. His interpretations aren't mechanical tracings of the originals, but they still convey, and even amplify, their feelings--his "Street Spirit" captures the spirit of the original while still sounding new; his "Paranoid Android" sounds even more paranoid than Thom's. 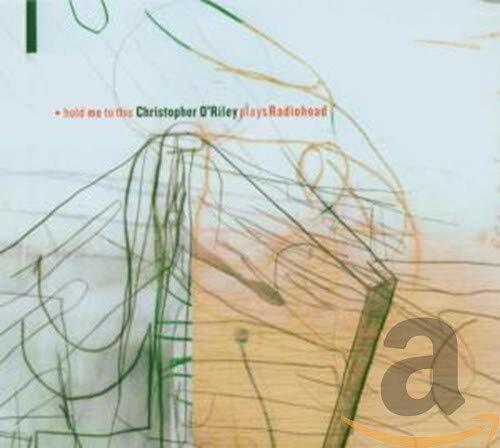 At times, the songs feel a touch too discordant, but that's a good thing, in a way--this disc requires multiple listens and is well worth owning, as is O'Riley's first Radiohead disc. It would be nice to hear him play "Optimistic" or "How to Disappear Completely" or "My Iron Lung" or "Just," but that's no knock against the second CD--it's a wishlist for the third. This latest release by Secret Garden doesn't grab you like the others did. However, the music grows on you with each listening. Some of the songs sound like their earlier music, with a bit of a twist, but overall, this is a beautiful album by a most talented duo. Secret Garden's 5th studio album. Secret Garden's 5th studio album has recently just been released in Norway. The CD is titled "Earthsongs" and contains 15 new Rolf Lovland songs. This time around they've teamed up with guest artists Brian Kennedy, Ole Edvard Antonsen and Jan Werner Danielsen. While there is definitely an underlying river of new age pretension, the duo rely as much on choirs, folk instrumentation, and orchestral ambience as they do mythical keyboard patches, resulting in an intoxicating blend of Loreena McKennitt-style dramatics and Clannad-esque vocal arrangements. <<< Also Recommended: Instrumentals By Mehdi...A True Gem...Full Samples At SoothingMusic.Com...Just Listen !!! Wait til you here it live! Just saw the Secret Garden live in Washington, DC on April 26th.They were absoluetley awesome.There is NOTHING faux about these extremely talented musicians. This is NOT wall paper music. A quartet: violin, piano, flutes and whistles from Norway and Ireland, and a harpist singer, brought this evocative music-and many of the Earthsongs to our ears and our souls.Secret Garden is the keeper of New Age and this album is a testament to the power of a quiet storm. This CD can be very relexing for the mine.I like pretty much all of the songs. I have been subjected to this "product" for several weeks in my workplace and I am finding it to be a little like Chinese water torture. Secret Garden make music that is essentially faux. They do faux-Celtic music, faux-Classical music, faux-Andrew Lloyd Webber, faux-New Age music, et cetera. There are no hard edges or challenges in their music and very little creativity. As someone has already said, you could use this music in the background of a soap commercial! I guess that those New Age shops that sell crystals and angel therapy books could play this in the background? Background music - that is what Secret Garden make. You hear this sort of stuff all the time in TV commercials and in travelogues, but why would you bother buying an album's worth of it? Beats me!? While I have always been a huge fan of Enya's beautiful music, my long wait for her 2000 release, after a gap of 5 years...ended...dare I say it?...in disappointment. Was I expecting anything different? Perhaps lovelier melodies, as heard in the timeless "Storms in Africa" or "Faerie Tale", "Orinoco Flow", "Ebudae" "On my way home".....frankly, somehing was missing. I will however mention the one notable exception to my ears: the lovely and enchanting "Lazy Days" , which makes you hum along instantly, in its simplicity and melodic melancholy. While people rave about Enya's "New Age" (I wonder what that is?) music, few people bother to acknowledge the beautiful and mystical lyrics of Roma Ryan, who is, very aptly, half Enya. Her lovely poetic talents shine briefly again in "Lazy Days" and "Wild Child". Perhaps what ruined the mystical experience of enjoying Enya's music was the music itself...or lack of it. Though one could argue that any of these songs could be lifted out of a previous Enya album, to my ears, the music is lacking..in vibrancy...emotiveness...and the spiritual beckoning that was so blissfully present in her earlier works. Perhaps it is time for Enya to try something different...maybe use some different instruments! Having said such a mouthful, I will also venture to say that I would still buy her new music, which is, after all, infintely better than having to listen to bawling boy bands and untalented puerile pre-teens sing insipid tunes to a generation bred on MTV. This CD contais the marvelous Only Time, which was one of the soundtracks of "Sweet November". It's gorgeous. Enya continues being my favourist singer of all time. Her voice is amazing and in each of her CDs you have something very special. Wild Child is a piece that tell us how to take advantage of every single moment of all our lives. Again the singer and composer tell us to seize the day. In Only Time we found roads that leads to love. The song is perfect for the film. It is dificult to elicit the best song, because all of them has a peculiar charateristic. The CD is wraped up with "Lazy Days", contrasting, in my opinion, hardworking days with the relaxing ones". You listen to Enya once and then you'll be completely adicted to her gorgeous voice. You just get very anxious to get her next CD. The latest from Enya builds from all the basic themes of her almost 15 years of solo albums. (Hard to believe that long a time has passed!) And like all those albums before, or at least from "Watermark" on, the formula stays the same. Highly polished dreamscapes meant to evoke moods, mostly of the relaxed and contented variety. As "Only Time" proved in the aftermath of 9/11, music that aims to calm can still bring beauty to a tragic situation, and peace to troubled hearts. The opening three songs of "A Day Without Rain" could easily be the best ten minutes of music Enya has ever performed. And I, for one, will not moan over the disc's brevity. Better to have a half hour of near perfect artwork than to have it marred by extraneous filler. (Example, the wretched "radio mix" of "Only Time" that crowbarred a hip-hop rhythm track in a ploy to make it airwave friendly.) It takes Enya up to five years to craft her records, and almost to a T, they come out fully formed, seamless whole pieces. If I want more, I always have well worn copies of her other CD's to slip into the disc player. "A Day Without Rain" does contain one jarring surprise, the dark "Tempus Vernum." It will surprise many who view Enya as little more than the empress of bland, as the breif latin chant breaks the surface calm of the album with something a little more stirring. It caught me off gaurd enough that it has become one of my favorite moments on the album, and one of the few times on an Enya album where she breaks the formula. It still makes me hungry for more albums, but I guess I still will have to wait another five years! I've read reviews saying "This is the most boring music out there" and critizing the New Age music. Let me inform you that maybe 8 out of 10 people who said that are probably teens going through the death/black/goth phase. The thing about New Age? It's inspiring (I'm sure Black Sabbath is *sarcasm). It's beautiful and it takes talent (talking fast in a microphone or groaning is not talent). And it has a way of relaxing you, and even making you feel like you're in a cloud. Enya is no less different. Her purpose is not to get you angry. Her songs are insipiring and beautiful, just like her voice. This CD is great and I especially love "Deora ar mo chloí" and "Flora's Secret" and "Only time". This music is great, and if you want to forget about stresses and preassures, hear this CD for a while. 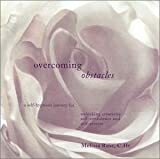 When I listen to Overcoming Obstacles I feel calm and relaxed. Melissa has a very soothing voice that helps put me into a tranquil state. This CD has helped me release my fear of writing creatively. I would highly recommend this CD. I was given this CD as a gift and it certainly has been one. Living a hectic life in a big city leaves me drained and stressed out. I was looking for a tape that would help me to meditate, though I wasn't quite sure what that meant. Melissa Rose's calm reassuring voice just eases you immediately into this meditation thing. You can really feel yourself relax and your frantic brain calm. I definitely felt calmer and more rejuvented after listening and also more confident about dealing with life's dodgier side. I try to listen to it a couple times a week. If you already meditate or have been wanting too, but like me weren't sure what to expect...try this one!!! I bought this CD about a year ago and recommended it to my friends since. I like the first part because it gives the theory behind the guided imagery and some good things to do to support your goals. I like the second part (the guided imagery) because it is very effective in helping me relax. I listen with earphones as I ride to and from work - someone else is driving, of course. The guided imagery uses allegorical images to remove the effects of self-doubt and to help the listener identify his/her higher self without explicitly saying that. I recommend that a few grammatically incorrect remarks be removed the next time this CD gets mass produced. It doesn't take away from the effect of the CD, but also doesn't reflect well on its professional quality. I recommend this CD to all interested in moving forward toward their goals. Melissa Rose has an incredibly soothing voice... It's actualy very sensual and relaxing. I find myself longing to hear her voice again even days after I listened to the CD. Best thing since the discovery of chocolate. I've tried a number of self-hypnosis and meditative recordings over the years, but none have had the ability to put me under as quickly or as deeply as this one. Ms. Rose has skillfully taken the audio hypnosis genre to a new level. In the introductory track, she immediately puts you at ease with a comfortable, friendly demeanor, speaking in clear, everyday language which allows you to build a sense of safety and trust. Some may be put off by the more familiar tone, but I found it refreshing. In the second track, she guides you through a number of visualizations in a calm, low-key tone that seems to bypass much of the transient noise in your mind and speaks directly to your inner consciousness. Here, you are offered new perspectives, some very good imagery for overcoming personal roadblocks, a bit of regression to simpler times before such obstacles existed, and a wealth of positive and believable affirmations. The accompanying music is surprisingly good. Light and meandering, it never gets tiresome. It is what it is, and it ain't Bill Evans. Tord & co. are the very embodiment of mediocrity. You won't find much in the way of innovation, nor will you hear astounding feats of improvisation; but it's a pleasant enough soundtrack for relaxing after a long, stressful day. A mellow, dinner jazz type of thing. What did you expect when the tunes have maudlin, new age-y titles like "Tears Transforming", "Colours of Mercy", and "Reach Out and Touch It"? Actual art? It's funny though to see this kind of Euro Jazz be hailed as the greatest thing since Bill Evans, or Miles- ha ha ha ha- well just put on one of their records and rediscover what the real thing is. I may buy this album some day, but for now it remains a wash with the many other CD's this over rated record company puts out. Does not transcend "Changing Places"
If you love Tord Gustavsen's first record, and you hoped his next would be even better, you are in for a slight let down.This record is more "melodic," and while that's not necessarily a bad thing, what makes this trio so mind-blowingly fantastic is the icy cold sparseness of their music, the deafening silences between the notes.When they get all "bouncy" with some of these Norway-sambas, I can't tell them from many other trios.These boys can flat out play, and they are better than nearly every other jazz combo out there, but this sophomore effort moves in the direction of mainstream trios.These guys, however, are--or could be--a whole other beast. Nice simplistic mood music...but dont metion this guy in the same breath as Bill Evans just yet. 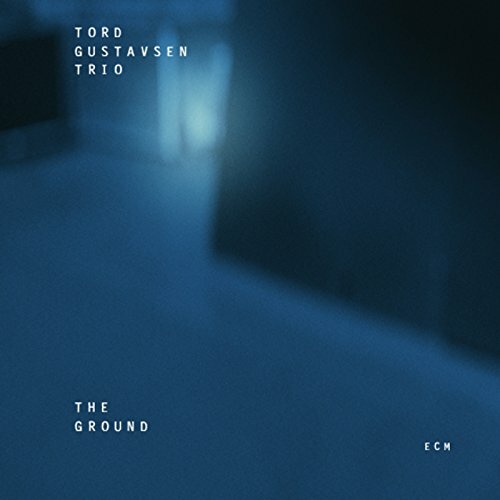 What makes Tord Gustavsen so popular? That's an honest question, and I'll try to give an honest answer.Is it because in English his first name is one vowel removed from naughty scatological bodily excreta?Could be, but I don't think so.Is it because he plays the piano really slow?Again, that's certainly a possibility, but there's got to be more to it than that. After all, haven't there been other jazz pianists who played really slow?Help me out here.None readily comes to mind, so maybe one of you readers can give me a hand.In any case, there's got to be another jazz guy that played really draggily like the Tord-meister. Is it because he's a Scandinavian, a denizen of that wonderland of social beneficence, where more than 50 cents on the dollar--way more, if my sources are accurate--goes to marvelous tax programs that give everybody and his uncle free college, and--who knows?--probably free Volvos and Saabs (though who'd want 'em, if you ask me) and allow the average citizen to retire at the age of 27?Perhaps.But somehow I think there's more to it than that. Tord, you see, has figured out a new way to play jazz.He's fused, I'm thinking, classical rigor with a way cool cocktail lounge vibe in a manner that no one else in the long and, one must admit, sad, history of the world has done.Yeah, that wacko Ryuichi Sakamoto did something similar years before, but he's from the wrong side of the tracks, so to speak. Anyhoo, this Tord guy is the bomb.Two measly discs under his belt and he's the next frickin' Bill Evans.Ten or 50 or a thousand years from now, he'll probably have faded from our collective consciousness.But right now, he's riding high. And jazz, being ephemeral by nature, readily accords him that fame. I have trouble staying asleep some nights, and I've recently found that certain types of music or sounds can put me in a relaxed state. 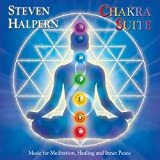 Steven Halpern's "Chakra Suite" is one of the best for this purpose. Whatever the effect, I find playing one of the suites as I lie in bed, relaxes me to the point where I drop off easily. I also like it for a quick relaxation break during a stressful, long day. There is a scientific principle called entrainment. If two items are vibrating side by side at different speeds then the item that vibrates at the lower speed will adjust to vibrate at the same frequency as the other object. Examples of this are swings in a playground that are swinging out of sync and adjust. Also, in a clock store you may notice the pendulum clocks of the same size swinging back and forth in unison. Applied to sound your different chakras or energy points vibrate at different frequencies and notes vibrating at a specific rate for a prolonged period will cause your energy points to reattune themselves, and bring your chakras back into balance, and promote a sense of well being and peace. 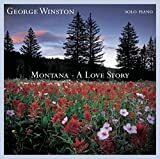 This cd applies these principles using swirling harmonics and overtones and beautiful instrumental sounds such as chimes and bowls including the rhodes piano to create an atmospheric sound. I can feel the musical vibrations resonate thoroughout my body, and I certainly do feel more relaxed even after a short listen. This record has been rated as groundbreaking by New Age Voice. I have listened to many different "chakra balancing" CDs, but this is the only recording where I have actually distinctly felt the sounds or appropriate chakras resonating the exact chakra spots - I could feel, without wondering if anything is happening, the sound vibrating in my body right where it's supposed to have an effect - so for that purpose, this is my favorite CD. I love this CD, I listen to it daily to balance my chakras! Even if you don't believe it actually balances your chakras, it is beautiful and relaxing to listen to. cheesy, but hysterical, and oddly effective!I was skeptical too.But my dog (4 yo shep mix) Vera seems to genuinely enjoy this cd - some of the tunes like 'squeaky deaky' and 'adventure dog' (the funniest) get her more worked up than others, but even the milder tunes have her leaving my side (a rarity) to be in the room with the stereo - and in bliss when I follow her in to play with her during the songs.If your dog's behavior tends to crack you up anyway then this cd should provide lots of joy. Skeptics mind changed, Dogs Love it! I was very skeptical when I bought this CD.I played it for my two dogs and their attention went immediatly to the stereo.I have seen other dogs with similar reactions when I play it for them.They put their nose to the speakers or try to "sing" along with it.It amazed me how helpful it has been.My dogs enjoy listening to the CD when I am away at work. It has helped to ease their separation anxiety and reassures them that they are loved.I am not longer skeptical and highly recommend it to other animal "parents".I also highly recommend her book "Ask the Animals" It is very enlighting and full of wonderful stories she has experianced though her gift of animal communication. I have had this CD for over a year now. I love it and so does my dog! It is an uplifting, happy and funny CD which made me laugh and smile during the whole time. I play it numerous times, not only for my dog, but for me too. It sings about what dogs like to hear such as; food, toys, I love you from their guardian and many others. I play it so much that I know every word to every song on the CD. My dog always perked up his ears when he heard certain words or noises (such as a squeaky toy or a dog bark)from the CD.I know it made my dog smile on the inside. 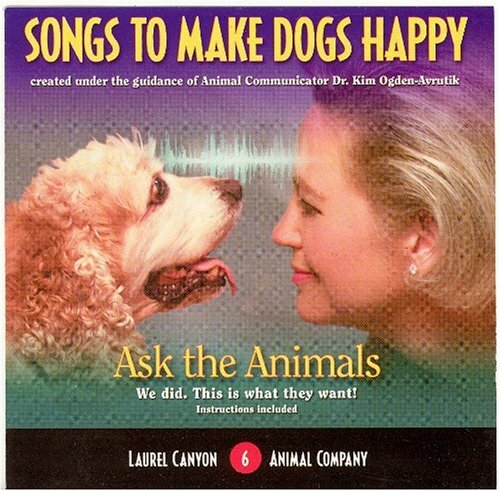 It has happy songs on it and not hard rock and roll or classical music which can tend to put dogs in a fatigued or depressed mood. I would have to say it is the funniest and happiest CD I own. I have a "problem dog" named Buster, and I know that this CD has been very helpful to him. I think Kim is a miracle worker. I put this CD in and Buster relaxes, seems more at ease, more even-tempered. Plus, my husband and I (as well as our toddler) love to hear it as well. Actually, now that I think about it, our human son seems to benefit from the music, too. 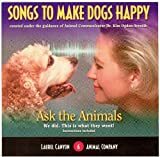 We've actually used Kim's services as an animal communicator before, which has helped us and Buster a lot; this CD is great as a supplement to this sort thing or on its own. I recommend it highly. I have never heard of Loreena Mckennitt in my whole life. I hardly even listened to newage music before. However, I listened to the preview of the songs to this CD and it opened a door for me. I bought this CD and "the vist". "The Book of Secrets" is definitely the better of the two in my opinion. The instruments were great. Very powerful when played in conjunction with Loreena's voice. Not bad, but it didn't really hit me like the other songs. This song has a great melody playing throughout. Vocals were also good. Very very soothing string work in this song. Top knotch. This song is a nice change. It's more suited for the percussion fan, but still enjoyable. Again, awesome string work at the start. This was the highlight of the song for me. What can I say? The strings are again a hit. A very soothing instrumental. Like most of the songs on this CD, this song has a great intro and the vocals fit in quite nicely. The song has good percussion work here, but it's not as heavy as Marco Polo. The strings too, do a great job. No better song could have been used to conclude this CD. The way that Loreena sung this song was by far the best in this piece, especially when the piano and the strings come in. Very moving stuff. Great lyrics. This CD had a very good mix between the vocal and instrumental elements, which is why I thought that it was better than "The Visit" which is more vocal orientated. There is nothing wrong with this ofcourse, as it depends on the taste of the person. Music for the soul, plain and simple. There are not words to describe the beauty of Loreena McKennitt's voice, nor the lyrics to her songs--all are simply profound, beautiful, and left me with tears in my eyes on more than one occasion. I can't say I've got an average 14-year-old's taste in music, for my likings run in that of Enya and and more "soulful" music, for lack of a better word. Thus, this album clearly suited my love for those shivers that go up your spine when you listen to something with such meaning, power, and amazing beauty. My favorite tracks would have to be "The Mummer's Dance", naturally, because it is also what prompted me and many others to buy the album in the first place. Fun and catchy with beautiful music, I never get tired of this song. And then there is the notorious "The Highwayman", which left me breathless, in tears, and nearly trembling. I can't describe this poem-based song in words. For one, it is written to an old poem, which in itself is amazing--but put to music, the result is stunning. Beautiful vocals, haunting tune, powerful music, period. All I can say is "Wow" with a giant capital W.
Actually, that's really all I can say for the entire album. I recommend Loreena's music to anyone who is stressed out. It is one of the most relaxing CDs that I have ever purchased. It sort takes you to a state of tranquility and focus. I know you will love it if you hear it. Walls of Akendora is the latest release from keyboardist Keiko Matsui. It showcases her classical side as well as her jazz sense of flair. "Overture For The City" begins with a trumpet blast followed by a pulsating bass line that drives this opener to the piano of Matsui. This one's put together well and reminds me a lot of some of Mark Portman's work. It's one of the better songs on the disc. "Crystal Shadow" is a syncopated bass line that's laid down with piano and soprano sax casting the shadow. Keiko's playing is superb and plays like fine crystal in a musical setting. "Mountain Shakedown" is a repeat from a previous disc, but bodes well in the mix. "Canvas" is a mid-tempo number that rallies around the same theme and has its best jazz riffs of the whole disc. Matsui slows down the tempo somewhat for "Akendora's Clock." This one beautifully shows off her composition skills as well as her ability at piano. It builds to a near crescendo before softly fading at the end. "Walking Through It" will probably be a show stopper on her current tour. It has that unique blend of intrigue and magic that her fans have come to love over the years. "Blue Butterfly" is an insightful look through the eyes of her piano. "Gentle Sands" is another favorite of mine here. It skips along with a nice back beat, and is accompanied by some good soprano sax. The piano doesn't take the main stage here but is instead blended with the others for an uplifting experience. The title track is deep and dark. It's musically fit for a concert hall. With its sweeping suites and rousing orchestral movements, "Walls of Akendora" showcases Matsui's classical sense. The disc finishes with " Bay of Destiny ." This seems much like the second movement to the previous song, and is layered with orchestra movements that showcase her piano. It comes back to a simple theme before closing the disc. There's also a bonus DVD of Keiko's November 26, 2004 live performance at Bukamura Orchard Hall in Tokyo , Japan . With both the DVD and CD, this package should really make her fans quite happy. <<< Also Highly Recommended: Mehdi ~ Instrumental Heaven Volume 7..A True Gem...Full Samples Are At (SoothingMusic.Com) ..Just Listen ! Akendora...Must Be A Beautiful Place ! Matsui is always so consistent that it's hard to decide if one album ever tops another, but like most albums in her catalog, Walls of Akendora is irresistible in its execution of incredible dynamics throughout. Each song is unique, yet astounding; you can listen to them when you are sad or are in need of comfort, and the melodies will perfectly match your feelings. Matsui fanatics will no doubt be jumping all over maps of her homeland looking for a place called "Akendora," but it's a place of her own creation, where she runs to spend contemplative moments and find peace. Most Amazing CD I Have Ever Owned! Keiko has won my heart w/ Walls of Akendora. The soothing sounds have really touched me in such a way to say that this is the greatest album I own by far. A TALE OF 2 CD'S, WELCOME BACK KEIKO! For those of you like me that missed the Keiko Matsui from the 90's, with all of those melodies and jazzy funk that would become immediately ingrained in your memorybanks, I have semi-good news: The horns and funky percussions are back. The bad news is maybe with too much of a vengeance. Starting from track #1, the songs are loud. Whistles blowing, drums banging, in one song I swear I evenheard a fax machine going off. It's almost like she said, okay, you want loud, I'll give you loud! On the plus side, the songs are catchy, with my favorite tracks being 1, 4, and 8. Having possessed this CD for only 5 days, I am already humming the melodies- a great sign. Now the best news: cd#2-she has included a dvd that showcases earlier recorded songs. This DVD is better than the BET DVD, but falls short of the "Light Above The Trees" DVD. That is untoppable. Included in CD/DVD #2 is a video movie of Keiko's "What I did on my trip to South Africa, Eastern Europe, USA, and points elsewhere". For her to share this trip with her fans is one reason why she has such a loyal following: she shows a human side and really seems to care about her fanbase (which is smart, why alienate the hands that feed?). I particularly loved the scene when she is leaving a seemingly depressed area of South Africa clad in a full length mink coat due to unusually cool temps. (PETA people disregard this last sentence). To watch Keiko interact with thecitizens of other countries, especially the South Africans, truly endears you to her. It doesn't hurt that she is also extremely attractive in the looks department. Keiko is indeed the best ambassador that Japan has blessed the world with since baseballs' Kaz Matsui. In Summary, this is the best CD/DVD since 2000, before Deep Blue. It deserves heavy FM airplay, and a place in your CD player. Keiko's style hasn't changed over time; instead I think it has expounded upon itself.This album is nothing short of fantastic, and it has everything Keiko fans would expect from one of her albums.There are infectious grooves (Canvas, Walking Through It, Blue Butterfly), catchy melodies as always (Gentle Sands, Crystal Shadow, Overture for the City), and dramatic, emotionally charged compoisitons (Akendora's Clock, Bay of Destiny).You have to hear them to believe them. I was especially delighted that Keiko, as she has done before, revisited another one of her previous works (Mountain Shakedown).It's great to hear the catchy melody (if you've heard Mountain Shakedown only once before, you'd recall it the moment you heard it again) receive new life on the grand piano, fifteen years after it appeared the first time on "Under Northern Lights" in 1989. I Was Torn Between 4 And 5 Stars! Although this album of hers was produced in '88, I'd only (shamefully) purchased it a few weeks ago. It's frankly an excellent album, as always, but I got the awkward feeling that Enya had started out..."stiff". The fact that this was only her second new-age album - after an unsuccessful first from '83 to '84 - was accepted willingly by me on why all the tracks on this CD seemed to carry similar atmosphere - almost same tunes and similar rhythm. Honestly, because of this, I wanted to give her 5 stars, but considering the standards she's met up to today, I'd say this is mere second-hand work on her part (hence, a 4-star rating)! Nonetheless, it's definitely a new-age compilation worth listening to, for it's very clear why Enya shot to fame producing this CD! There're of course the three tracks which shortly made her the unprecedented superior diva in the era of new-age music, "Orinoco Flow", "Storms in Africa" and the title track, which is a beautiful piano recital, "Watermark". But not all the other songs and musical pieces are disappointing fillers (nah! You wouldn't expect that from her, would you? ); other masterpieces include "The Longships (EXCELLENT instrumentation and voice budding)", "Miss Clare Remembers (a recital as wonderful as the title track)", "Exile (if you liked "Paint the Sky with Stars")", "River (a marvellous instrumental adaptation of "Orinoco Flow")" and "Evening Falls (a mystical lullaby)". This album would reassuringly still give new fans a good impression of this musical queen; as for those who have been avid all this while, you simply CANNOT miss this out in your collection! Watermark is a unique album, totally fantastic! It's incredible how a person - just 27 years old at that time - was able to create an album like this. I like the whole album, but I have two favourite tracks; the first is one of Enya's greatest hits... yes, of course it's the spectacular Orinoco Flow! The second is Storms In Africa which was a hit too, though a much smaller one. Other songs which I prefer are Cursum Perficio, River and The Long Ships but, as a mentioned before, the whole album is great. The music is from 1988 but that's impossible to hear, it could well have been the music of today. * Hard to say why these songs are special, but perhaps because they don't sound like any other musical stuff. There's only one person that's able to create songs like these and her name is - Enya. You must hear them, but don't forget to try her remaining albums such as Shepherd Moons and The Memory Of Trees. Enya, one one the most talented musician I've ever heard, truly gives it all in this single CD. It wasn't new; I've heard songs by Enya in the past but I have never listened to all of them. In Watermark, one of her oldest albums, gently and beautifully expresses the contents of her heart. Her music has become a real inspiration to others and myself. When I first listened to Watermark, the first track, I realized that this is pure gold in music form. Anyone who wishes to explore some of the earliest and beautiful works by Enya must have Watermark. As the Editorial Review states, her first debut of this cd made a huge imapact on its' listeners. This cd personally impacted my outlook on New-Age music. It made me realize that new things can be found in old work. The effect on its' listeners is very calming. The instrumental music in addition with Enya's voice induces relaxation and will alleviate stress. Her heavenly voice, at a gentle pitch, helps sooth and put a smile on ones' face. This is a truly inspirational work by whom I consider the "Diva of New-Age" and listening to her wonderful achievments will have the same effect as it did for me. I enjoyed the cd but Enya has previously made much better cds. watermark is an amazing cd and i highly recommend it if it is your first enya cd but if youve heard enya many times, i would move on to so,thing morelike, Best of Enya. I was a DJ in high school when I happened upon a used cassette of Watermark. I remember picking it up and thinking "oh, this is that singer who has that strange song Orinoco Flow out on the radio." I had only heard Orinoco Flow a few times, but it was getting tons of airplay. I decided to pick it up (even though my tastes in music were totally inapposite to Enya's style). I took the tape home--and I swear--I had to sit down because I was so overwhelmed by what I was hearing. I recall thinking "this is the single most beautiful voice I've ever heard in my life." From that point on, my taste in music changed dramatically. Funny that it all started with ENYA. I played the album for my parents and my siblings and they were equally stunned by its beauty. Watermark's production is immaculate and showcases Enya at her best (although I like everything she's done). I am amused by the bone-head comments made by Enya-haters who say "this music is sooo boring," or "it is so pretentious." It's like hearing a deaf mute gripe that Mozart's Requiem is dull or self-important. SHUT UP, BE SILENT, and take your tone-deaf selves to the local ska shop! Enya's music is only dull to individuals who have tin ears or are so musically disinclined that the don't know a whole note from a hole in their heads. I also strongly disagree with people who say that Enya's voice is "weak." She sings in a very traditional style (the style is called sean-nos and is exemplified by aspirated/breathy singing). You'll hear no fake SOUL DIVA sliding (a la Mariah Carey or Crustina Aguilera). That's because the Irish have a traditional singing style that is not influenced by the western classical tradition (or any pseudo-gospel/soul style). Enya's range and almost vibrato-less singing is really incredible. I don't think there are many others who can match her purity of tone (maybe Lisa Gerrard who is almost superhuman). Anyway, this music changed my entire musical perspective and still moves me to this day. It will always be the most important musical revelation in my life. 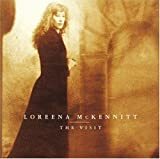 "The Visit," recorded in 1992, has demonstrated, by its longevity and popularity, how important a position it holds in Loreena McKennitt's body of work. Based strongly in her Celtic roots McKennitt is as comfortable with traditional tunes as she is mixing old casks with new wine to make statements that are a pertinent today as they might have been 100's of years ago. The 'old religion' is mixed adroitly with modern spirituality to add a mystical texture that will haunt the listener long after the songs have ended. Loreena's musicality is unimpeachable. I love her voice, which is capable of a rich variety of intonation and emotional content. Much of her work uses old dance rhythms based on fine drumwork by Al Cross and Rick Lazar. Indeed, all of her musicians are first class, and recording qualities are superb. Whether you are a Celtic music addict, a New Ager, or an old Folkie you will find much to enjoy here. 'All Soul's Night' is a striking combination of Japanese imagery and Celtic ritual with a dancing, percussive rhythm. In 'Bonny Portsmore' McKennitt sings a lamentation for the great oaks of Ireland, cut down for lumber by British military and shipbuilding interests. 'Between the Shadows shows off the singer's unique ability to write crossover tunes that combine Middle and Far Eastern influences with Celtic rhythms and instrumentation. 'Lady of Shallot' is one of my very favorite McKennitt songs. It is a pure, folk-like capturing of Tennyson's poem of an elven woman who is cursed to die if ever she let's herself love. It is a showcase for the singer's voice, which moves over her entire tonal range. 'Greensleeves' is a complete surprise. Emulating Tim Waits, McKennett produces an eerie, bluesy version that could almost have been written yesterday. 'Tango in Evora' is exactly that, combining Brian Hughes Balalaika, Hugh Marsh's fiddle and McKennit's voice in a lilting performance. In the 'Courtyard Lullaby' pre-Christian symbolism is used to evoke the flavor of old Europe's deepest spirituality. A thematic structure which is evoked again in 'The Old Ways,' but at a far faster pace. For her final piece, McKennitt chooses the mourning song from Shakespeare's Cymbeline, a play about the conflict between Roman and Celt. It is a fine setting, evoking both the tragedy and nobility of human mortality, and serves as a perfect ending. While you can get all the songs on the live CD, the studio versions of the songs are by far more beautiful and haunting. She has a way in this cd, just like the others, of taking you away into another world. I highly recommend getting this CD. Loreena McKennitt - "The Visit"
I became familiar with McKennitt some years ago when the haunting purity of her voice captivated me...and I have been hooked ever since. While I am not totally mad about "all" of her selections, her voice more than makes up for that. What I find most marvelous is her ability to put music to wonderful poetry that I have read and been enthralled by since I was a child. I am now a Professor of Art at a New England College. When I'm teaching about the Pre-Raphaelites or paintings of Dante's Inferno, I often play her music "The Lady of Shallott" or "Dante's Prayer." The students are often blown away by the beauty of the music flowing through the seminar hall while I'm flashing scenes of different paintings of the Lady of Shallott. They often come up after the class to ask who the singer was and how they can get the music. So through the last 5 years, mulitplying 3 classes a semester times the number of college students per seminar, I feel I am priviledged to have been instrumental in spreading the beauty of this artist's voice to people who would otherwise never have heard it. All Bow to the Goddess Loreena! I have been a fan of Loreena's since I first heard "The Mummer's Dance" in 1997. This is one of the most beautiful albums I own; it's haunting and atmospheric. I only wish it was longer! ALL SOUL'S NIGHT: A great open to this set, this one of Loreena's most well-known songs, and for good reason! A woman known for having lots of international influence in her music, this is one of the more obviously Celtic songs on the album. I am reminded very much of the novel "The Mists of Avalon" as she sings of the pagan rites. BONNY PORTMORE: The liner notes tell us this is a traditional song, and it's hard to believe. It's very environmental, and sends a good and timely message. It's heartbreaking, and Loreena sings like an angel. BETWEEN THE SHADOWS: This instrumental piece is one of my favorites. It would be wonderful on a soundtrack. If you like this, also check out the album "Maidens of the Celtic Harp-" it's lovely. THE LADY OF SHALLOT: I'm obsessed with all things Arthurian, and this twelve-minute epic is no exception. Loreena McKennitt is a genius- who else would have the daring to put Tennyson's famous, albiet lengthy, poem to music? Thankfully she did, and the world is better because of it! GREENSLEEVES: The most "different" song here, Loreena sings this song as Tom Waits would have, and it's rather jarring at first listen. But it will grow on you as it has grown on me. This dry old traditional comes to life when Loreena gets ahold of it! TANGO TO EVORA: Another instrumental piece, very Spanish in flavor (of course!). Loreena has said that most of her songs are written as she travels, and in this case I am not surprised. "Tango to Evora" adds some variety to this album. Cool. COURTYARD LULLABY: Quintessential mood music. When people think of Celtic music, this is the type of song they think of. Cliche in that since, but cliches become cliches for a reason, don't they? THE OLD WAYS: Magnificent. My favorite song on the album. Worth buying the CD for. It begins and ends with an enegetic jig, and the centerpiece of the song is the first chorus. It is trancelike and very melodic. It will find its way into your head and stay there for days, and you will not mind. CYMBELINR: Here, Loreena puts some of Shakespeare's words to music, and the result is a flawless, fitting end to the album. It is quiet and breathy, leaving you time to mull over the songs you have just heard. In short- listen to this and come away a different person. Wonderful CD! It's a joy to listen to! Some tracks were very calming, others were energizing...the benefits were apparent immediately. Dr. Chopra's voice was very soothing, and the lessons were very useful & comforting. The music was cool too. You have to listen to it to get the benefits! I just finished listening to the CD. WOW! You have to experience the whole CD to get the benefits from it. I did listen to the tracks online before I ordered it. I had a hunch it would turn out to be a peace filling experience.... And it was! 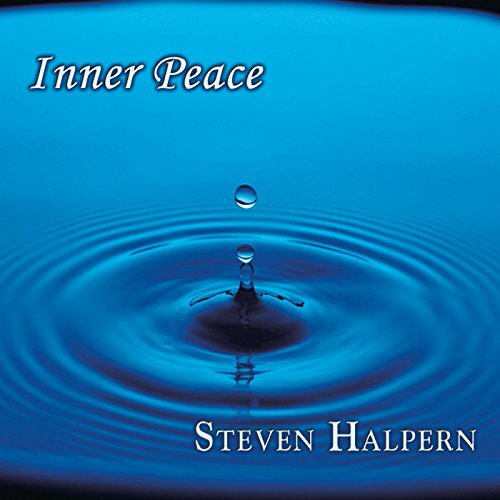 I recommend this CD to anyone who wants to relax and let go any tension in their body. It is simply amazing! 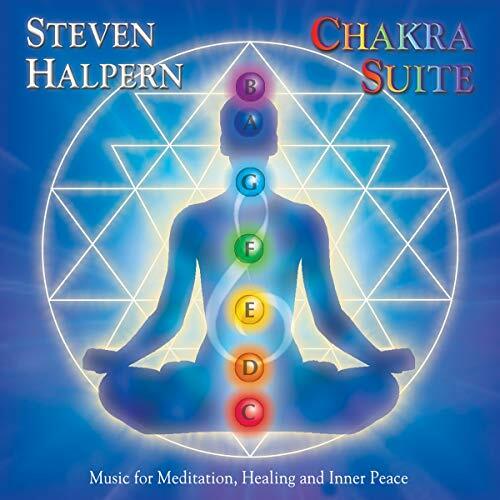 I had heard about Deepak Chopra's books but this CD is pure healing. Best guided relaxation source I ever had. I have several guided meditation tapes, CDs and videos but none have ever taken me so deeply within my Self as this one. The background chanting and oriental music was a pleasant surprise. 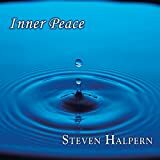 This CD is a must have for those on a spiritual healing path. I LOVE, the results are amazing from just the first time. I am very excited about adding it to my usual nightly meditation routine. This CD is delicate and pleasing. The instrumentation is light. Deva Premal's voice is pure, fluid, and joyful, though not as "passionate" as the cover art might suggest. Track 6 is a standout. It is mostly instrumental, with a light, jazzy texture, and for Deva it is evocative of a rainforest retreat she and her partner attended. It is one of the sunniest pieces of music I've heard in a long time; just try not smiling while you're listening to it. Track 7 is also delightful, a lovely African folk song celebrating the mother of all Goddesses. Track 7 highlights the positive feminine energy which Deva projects throughout the CD. For me, this CD has an eclectic, New Age flavor, the kind of CD Enya might record if she were a Brazilian living in Denmark. Even though some of the lyrics are sacred chants, the music does not seem to be deeply rooted in the yogic traditions -- in contrast, say, to the music of Krishna Das and Jai Uttal. (I mention those two artists in many reviews; I'm sorry if that's tedious to anyone!) I was a little disappointed by what I perceived to be a lack of spiritual passion, but nevertheless, this CD is definitely pleasant music which will lower your blood pressure and put a smile on your face. I have a large CD collection, including many, many New Age-type CDs. This is one that I come back to, again and again, in a hundred different situations. It soothes me on a plane, it makes wonderful background music for almost anything except housecleaning, and just generally makes me feel good. A diverse collection of people have heard this and loved it, from my mother-in-law to neighbor kids. I played it continuously when my grandmother was ill and dying, and while I'm not sure what it did for Grandma, all the caretakers and family members said that it brought them great peace. I'm buying "Love Is Space" today as a gift for my mother, who also loved "The Essence". 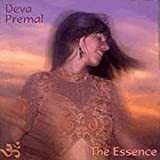 If you are looking for something with a beat and a variety of tunes, look elsewhere, but if you want hauntingly beautiful healing music that washes over you in soft waves, then buy Deva Premal. I heard this today in my yoga class and I think her music is just beautiful. My instructor let "Tumare Darsham" play repeatedly, and I liked the song so much that I asked her for the name of the artist. Never considered myself to be a New Age fan at all (extra emphasis on the "at all") but the combination of her voice and the music makes for something I think any true lover of music can appreciate. This CD was playing softly at workshop I did recently and the music coordinator jotted the name down on the back of my nametag. When I got home and ordered it I was not prepared for the lush beauty and power of Deva and Miten. I have since ordered every single one of Deva and Miten's CDs and they are ALL MAGNIFICANT. Deva's soothing voice and the fantastic arrangements make this an amazing CD to play while loading the dishwasher, healing a client, AT WORK or as a meditation itself. Recently myself and a group used her beautiful Gayatri Mantra in a world healing - and it was so powerful, we were all vibrating when we finished. I cannot say enough about how powerful this CD is, and Deva's music is in my life. keep buying her work, skip this cd and buy vol.2 of this title. Vol. 1 will not keep your ear interested for long. 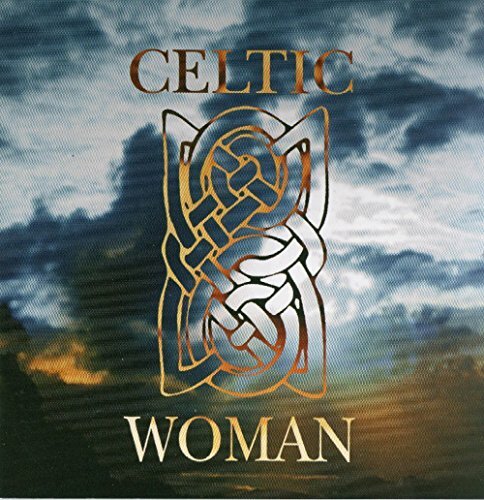 This CD is a beautiful compilation of many of today's contemporary female Celtic artists. Loreena McKennitt singing Annachie Gorden is a perfect example of the beauty that can be found in this edition - almost as beautiful as Mother Eire herself. Marian Bradfield, Melanie O'Reilly and Aine Furey, all contributing tracks show the wide variety of singing styles and popularity of many of the artists including. The songs selected tend to be traditional, but with a new spin such as Rita Connolly singing Ripples in the Rockpools. All of the songs whether traditional or contemporary are all timeless classics. I was disappointed with this cd only because I had thought the music would be in a more traditional celtic style. Although the musical and recording quality is quite fine, most of these sections are in a pop/rock or folk sound. The selections that are more traditional celtic sound include only those by McKennitt and Ni Dhomhnaill. 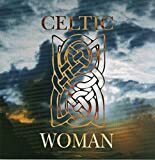 If you're looking for a contemporary vocal female sound in general, you will probably like this recording but the composers could be from a number of Western countries besides those of Celtic origin. This is a terrific album. Some compilation albums can be uneven, this is consistently good. 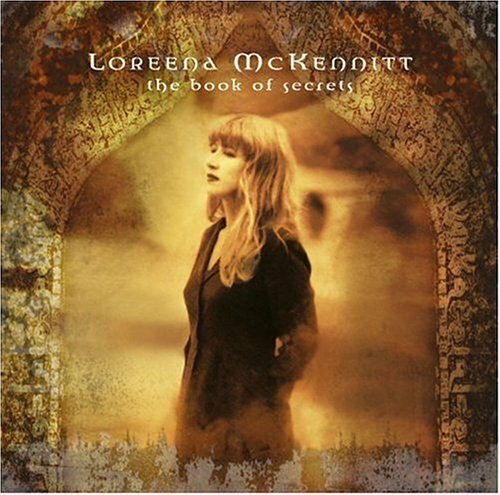 Loreena McKennitt's Anachie Gordon is very good, from one of her earlier albums. I especially like the 4th track, Tonight Is Just For Us. This is a CD I'll listen to a lot. I also like the fact that they published the lyrics in the liner notes. I was instantly blown away by the quality of this music and so I gave it a try and now that I have listened to his CDs several times I really must say that although I'm still a Halpern fan I find Mehdi to be a tad more interesting. I have them both in my multi-disc CD player and love the way they compliment each other. I highly recommend that you give this artist a try or atleast just go listen to the samples, I have a feeling you'll be glad you did. Steven Halpern is a new artist to me. I haven't heard or listened to his music in the past, but I came across Inner Peace while searching for a nice yoga/meditation cd. I thought at first, "This looks like it'd work." Now that I have listened to it, I have no regrets for purchasing it. It was worth every penny and the music was unpredictable. Gentle, calm, and soothing to its listeners, this cd has become a crucial element in developing peace and relaxing. The best way to listen to this CD is with headphones, especially the last track. I also listen to this at night (without headphones) before I go to sleep-it definitely helped ease my anxiety while being unemployed. It is difficult to "rate" or "review" this kind of music, as the real value in the music resides inside the listener. May I suggest, if you have never been deliberate about relaxing or escaping life's stresses for a time, that you put yourself in a quiet, safe place, disconnect the phone, arrange your body in it's most comfortable position, and put a little pillow on your eyes to help you relax those muscles as well. Breath deeply and relax, and focus on the music. You will find yourself floating on gentle waves, in and out of thought, and will return to the real world physically and mentally refreshed, and thus more effective.